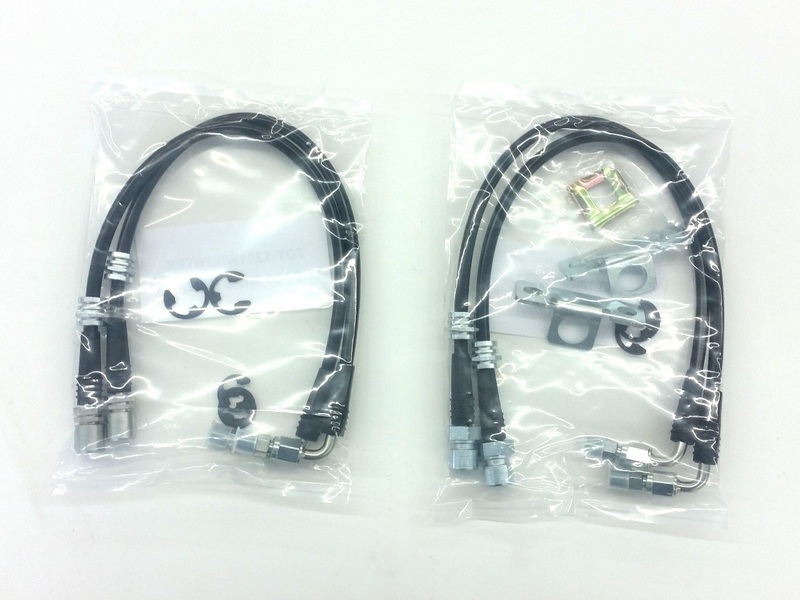 By popular demand, I am offering the steel braided brake lines from my big brake kit separately as well. Steel braided, PTFE lined, with a black nylon cover and a 90° fitting on the caliper end, these brake lines are made in the USA by Techna-Fit to my specifications. Designed specifically for use with Wilwood calipers on the MKII MR2 chassis. They might be suitable with other aftermarket calipers with a 1/8" NPT inlet fitting. NOT for use with stock calipers.